Rogue trader tree surgeons have been operating in and around Gloucestershire for many years, however with the current economic climate more and more of them are establishing themselves. Last week one of our customers was approached by a rogue trader tree surgeon at his property wanting to remove a dead tree in his garden. When the customer told him he had already received a quotation to have the tree removed and would not need his services, he became physically aggressive, leading to police involvement. Tree Surgery is a specialist trade and involves far more than someone with a chainsaw. 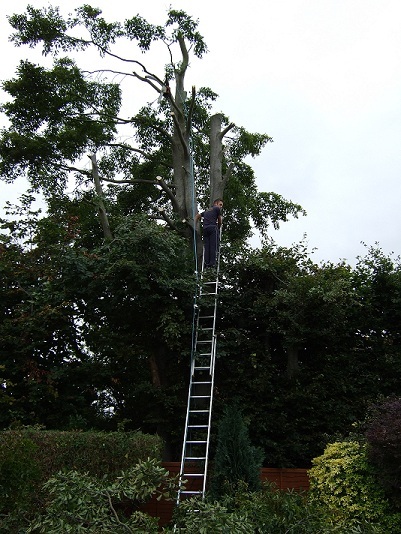 Tree surgeons undergo thorough training in a wide range of fields including chainsaw maintenance, chainsaw use, specialist climbing, aerial rescue, equipment maintenance and arboriculture. The danger to people and property is very high if tree surgeons do not have the appropriate training, experience and equipment. After hearing about the experience one of our own customers has had and seeing the results of bad tree surgery around our local area, we wanted to send out some information to help you choose the right people to do the right job. Treecreeper Arborists comply with all of the guidelines in this post , however we are not the only ones. There are many reputable tree surgery companies working in and around Gloucestershire and by following these guidelines, you can be sure to protect yourself from rogue traders. Why should I not choose a tree surgeon based on price alone? 2. Do you work to a British Standard? 3. What qualifications do you and your staff hold? They must have NPTC certificates for chainsaw use both on the ground and aerially. For other NPTC qualifications, see above. Further training and qualifications are recommended. Ask to see copies of certificates. 4. Will you provide a written quotation? 5. Are you a member of a professional organisation? In the UK there are several voluntary schemes certifying the competence of arborists through examination and regular reassessment including the Arboricultural Association Approved Contractor scheme, Tree Care Approved scheme and the ISA Certified Arborist scheme. Other arborists may be equally competent, but membership of a professional organisation shows a degree of commitment to good working practices and high industry standards. 6. Can you provide a reference? We hope that this information will help you to avoid the high risks involved in employing rogue trader tree surgeons. Treecreeper Arborists are confident in the high levels of service we provide and always encourage customers to get other quotations. We are certainly not the only tree surgeons operating to high standards in Gloucestershire and are more than happy to recommend other companies for customers to contact for comparable quotations. Welcome to the Treecreeper Arborists blog. Do you want to become a Tree Surgeon? Do you carry out work on your own trees or are you just interested in what we do and how we do it? For anyone with an interest in trees, tree surgery, nature or the natural world, this blog is for you. 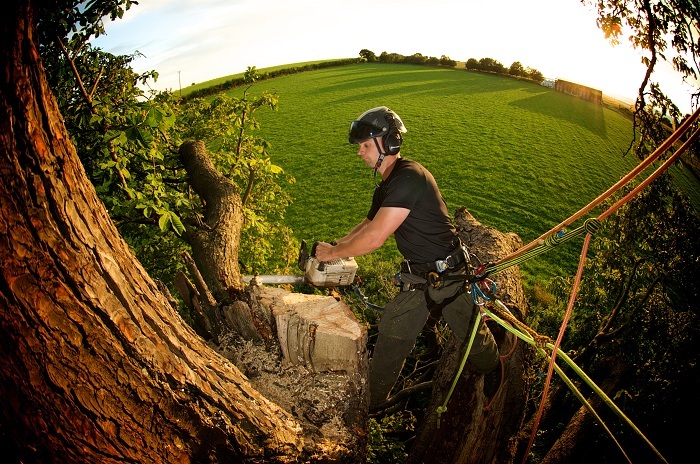 Treecreeper Arborists is a tree surgery company working in and around Gloucestershire. With over 10 years experience, we provide a range of services including all aspects of tree surgery and hedge care. Our qualified and experienced tree surgeons spend their time swinging about on ropes in trees carrying out everything from light pruning to sectional dismantles. Watch this blog for all of the latest stories from Treecreeper Arborists and tips for working in your own gardens. Do you know how to maintain your chainsaw? How to do pruning cuts or how to identify tree species? Watch this space for all this and more…..